GHC Home > GHC Admissions > Why Georgia Highlands? 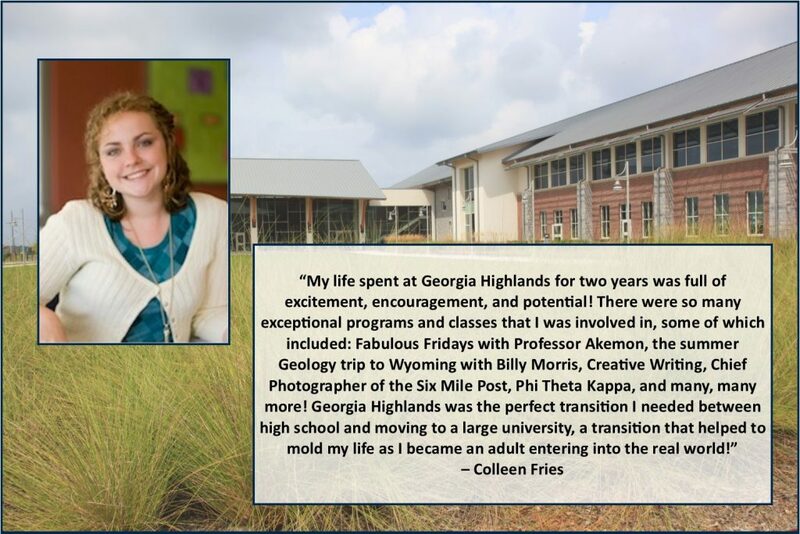 Over 6,000 students across Northwest Georgia are calling Georgia Highlands College home. Why? Compared to other colleges, you won’t find a better education with a better value anywhere. GHC is one of only two colleges in Georgia listed in a 2015 national database as the “best value” and “best return on investment” in the state. Students at GHC can complete an associate degree for less than $8,000. That’s half the cost for the same courses students take at other colleges and universities across the country. From registration to degree completion, it is GHC’s goal to help students every step of the way. Even at half the cost of most colleges and universities nationwide, GHC offers over 30 areas of study, including associate, bachelor’s, and online degree options. Founded in 1970 as Floyd Junior College, Georgia Highlands College is a multi-campus, state college of the University System of Georgia and is accredited by the Southern Association of Colleges and Schools Commission on Colleges. At GHC, we strive to provide access to excellent educational opportunities for the intellectual, cultural and physical development of a diverse population through pre-baccalaureate associate degree transfer programs, career associate degree programs, and targeted baccalaureate degree programs that meet the economic development needs of the region. We Invite You to Visit Georgia Highlands!